Our Dawn Redwood is not 13 feet tall she/he is now about 16 feet tall maybe taller now it's getting hard to measure. He / she grew at least 3 feet since we last measured him/her. Growing fast. Most luscious shade of green. 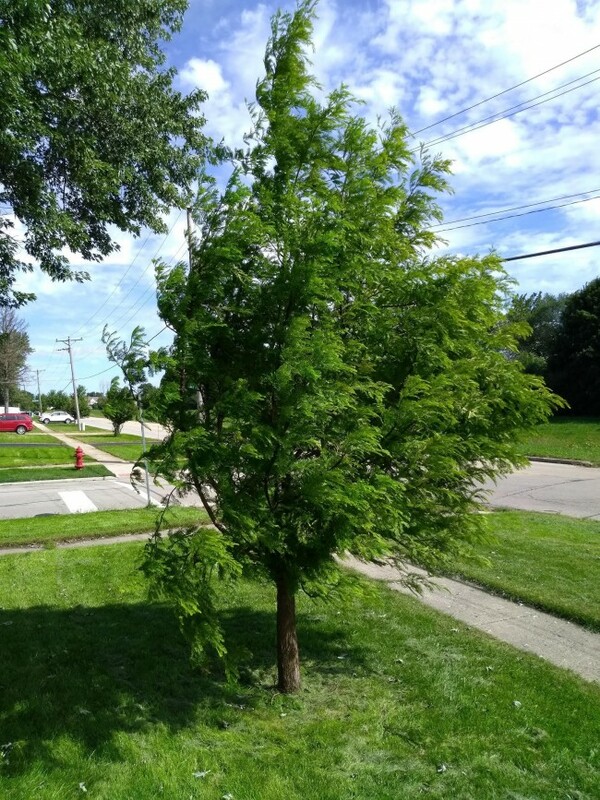 We've been blessed with a lot of rain this year but in previous years we had to hook up two water bags together and put them around this tree in order to make sure he/she got enough water. 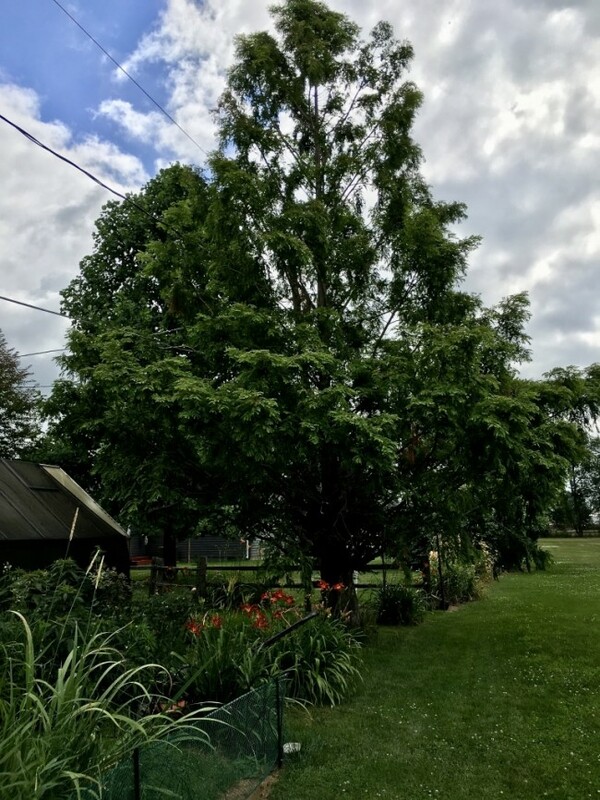 Caroline Calvin sent us a picture of her dawn redwood. Caroline said, “I took this summer before last and it’s grown quite a bit more since then. In fact we had a fence put in around our property and had a very special “cut-out” made for it to accommodate its lower branches. His name is Moudao after the town in China where they were discovered. Moudao is also known as Modaoq or Mootaouchi depending on who you talk to, but all are part of Lichuan County in Hubei Province, China. I first planted him as an experiment back in 2003. He was just a short little thing back then. I'm pretty good at growing stuff so I hoped he would grow. I had no idea just how wonderfully he would turn out and how beautiful he is maturing. His trunk is really growing large these days as well. His leaves (needles) are mostly dropped now for winter. But that doesn’t seem to matter to the squirrel and the Blue Jay that have made their homes in it, lol. Where I live, is in a small town called Seneca, Illinois. We are approximately 95 miles southwest of Chicago along the Illinois River”.